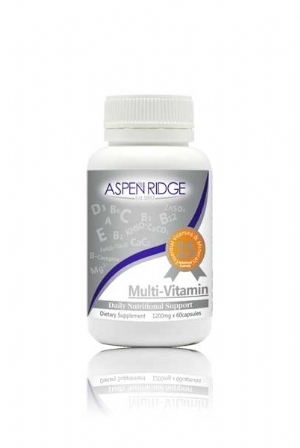 Aspen Ridge Multi-Vitamin supplement is suitable for Men, Women and mature health needs. 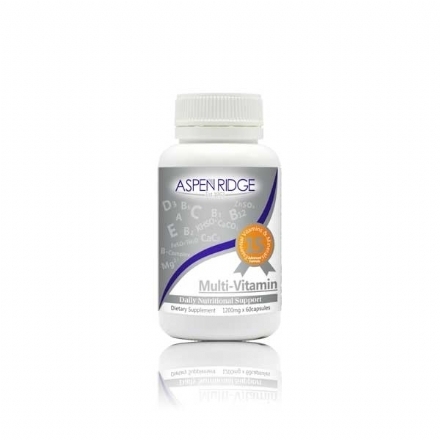 It can help support a healthy lifestyle with the right balance of essential vitamins and minerals. Our specially developed One-A-Day formula includes Vitamin A,B Complex, D and E. Contains Calcium for optimal bone health, Magnesium for joint support and a restful nights sleep, skin loving mineral Zinc for a radiant complexion and potassium minerals for efficient cellular, organ function and tissue protection. Adults take 1 capsule daily with food. Not for consumption during pregnancy or breastfeeding. Copyright © Aspen Ridge 2019 All rights reserved.